WOW! This is a BIG day for me! 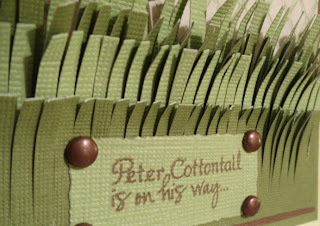 to be a Guest Designer on her blog today. 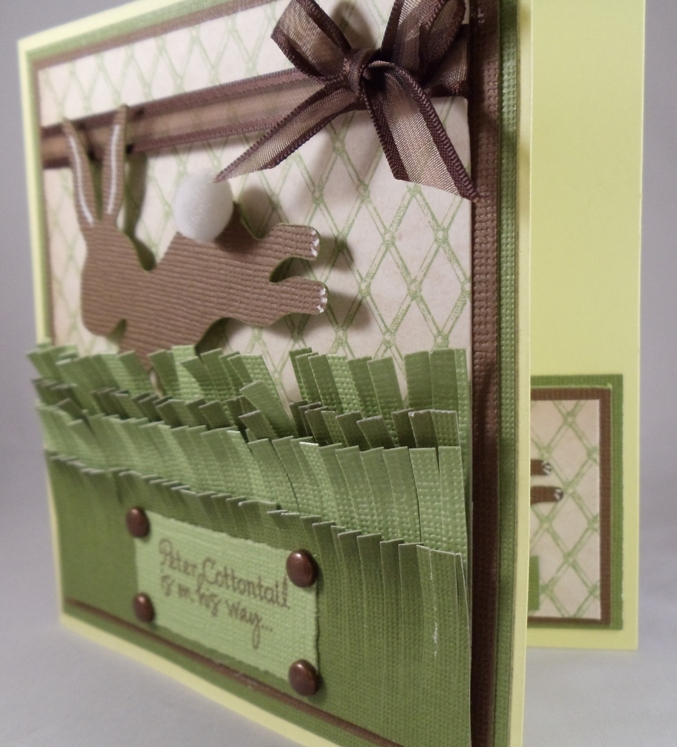 card I made using Emma’s "Color Me Happy"
at 4 ¼ “X 2” cut with Martha Stewart fringe scissors. cut just the bunny image on page 34 at 4”. Last but not least, Emma’s "Color Me Happy"
stamp set for the Sentiment. Hope you've enjoyed my post today. A Big Huge Thank You to Emma! having some pretty tasty Blog candy! 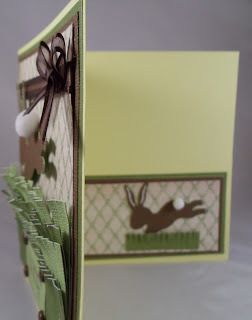 I just love this springy card!!! 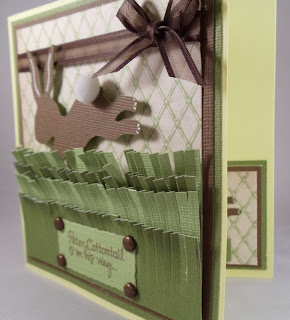 I'd like to invite you to join the Creative Sisters Monday Challenge...it's "think spring" and this card would be perfect! so super cute. Love the brown and green together. What a darling card, love how you did the grass. This card is just too cute with the bunnies and the gras!! Awesome!! Love it! Do you love the fringe scissors??? OMG, this card is super duper cute. I love it!! Great job!! ps Good call, my friend! Absolutely precious! 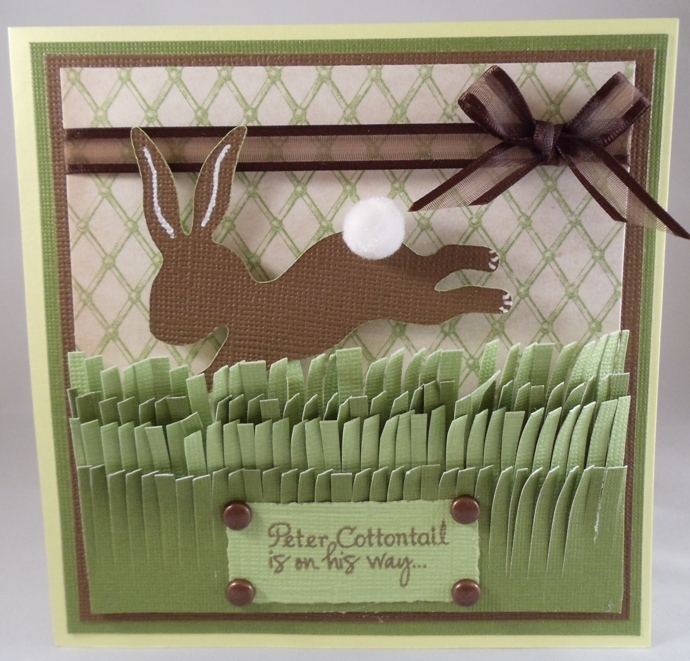 Love your bunny's cotten tail and the fun grass! 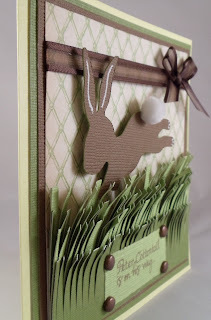 WOW beautiful job on your card,SUPER CUTE!!! Love the colors. So creative to venture away from traditional pastels!! I love this card. Thanks so much for sharing. Your card is sooo cute. Really enjoyed this blog hop. 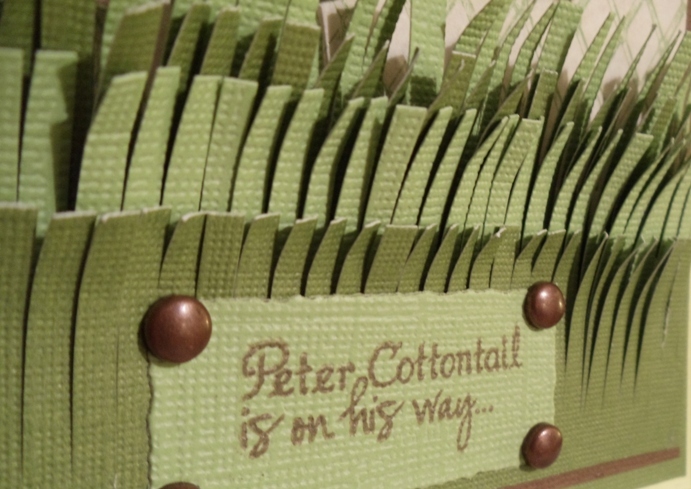 The scissors are so neat and love the way you made the grass with them.